View cart “McNett Samish Stiletto Tip” has been added to your cart. 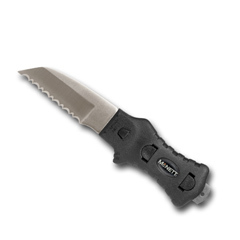 Featuring a blunt tip blade and Kydex sheath, the Saturna Outdoor & Dive Knife is designed for outdoor activities including rafting, kayaking, search and rescue, scuba diving, camping, hunting, fishing and more. 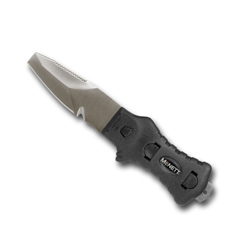 McNett knives are made under exacting conditions with corrosion resistant 420 stainless steel. Completely disassemble for easy cleaning; handles are form fitting and slip resistant. Knives can be either leg mounted or vest mounted on a B.C.D. or personal floatation devices.